The Mid-West�s Pete Schlegel is the story of a farm boy�s dream come true. Raised on a Paulding, Ohio dairy farm, Pete listened to country radio shows while milking the cows. As a fourth grader, he received a guitar from his Dad. That simple gift a long time ago would become Schlegel�s passion and livelihood. Pete had always participated in school choirs, musicals, and the local karaoke circuit, but it was prompting from family and friends that enticed Schlegel to start a band. According to Schlegel, encouragement from those around him was the driving force behind the formation of his seven-piece band, "Tru South". With his popularity on the rise and the riggers of touring, Pete would have to choose between his normal life as an Ohio State Trooper and EMS helicopter pilot, and his childhood dream. It didn�t take Pete long to decide. In March 2002, Pete headed to Nashville, where he began working with producer Clyde Brooks. �Music is all I do,� says Schlegel. Singles from the CD have been receiving heavy play in many foreign radio stations and US. The single �Leavin' Ain�t As Easy As It Sounds� was released by a promoter to over 1,000 Internet radio stations, video companies, and similar firms. Pete could barely keep up with the influx of website hits and demand for the CD. Since that time, enthusiasts have sprung up over seas. In Germany, Schlegel�s single dominated the international chart for over seven weeks at listeners� requests. That #1 chart position currently hangs in Schlegel�s house, as the song�s position on the international chart stands above country superstar staples like Tanya Tucker, Travis Tritt, and Kenny Chesney. The wall plaque serves less as a commemorative piece of success and more as a sign of things to come. Schlegel�s music isn�t easily tagged, but a guitar-driven, up-tempo, honky-tonk sound describes it best. 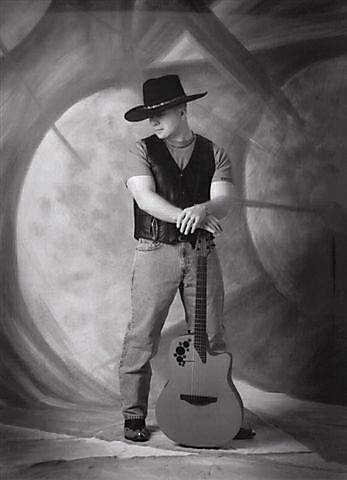 Reminiscent of his inspirations, Ernest Tubb, George Jones, and Brooks and Dunn, Schlegel�s sound is timeless. Schlegel�s vocals are delivered just the way they�re written: genuinely. No pretension or glossy over production, just the range of human emotions and experience of one man. Schlegel�s endearing and approachable personality makes for songs that every woman wishes her man could sing to her. Schlegel has had 3 national US releases; �Short For Gone� spent 14 weeks on the �Music Row� charts before peaking at 51 in March 2004. Diane Richey Promotions from Nashville TN worked the single. The second release �Leaving Ain�t As Easy As It Sounds� spent 15 weeks on the �Music Row � charts before peaking at 54 in September 2004. Jan Woods and Regina Riley Promotions worked that single. Schlegel�s new video and single �It Takes A Whole Lotta Liquor To Like Her� is currently impacting radio now. He has been chosen by Great American Country as the �Hot Pick� artist for November and December 2004. 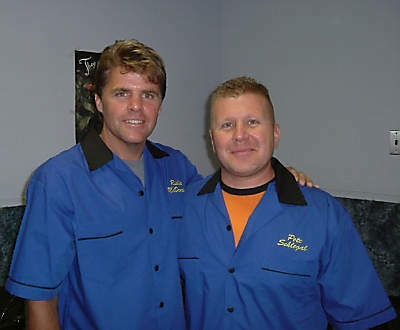 With the release of the video and single, Schlegel and his crew are heavily involved in a national contest to give one lucky winner a chance to have a Pete Schlegel concert in their hometown in early 2005. Schlegel and his band are paving the grime and sweat road to fame. Once Schlegel is there, under the neon lights of stardom, it�s not likely he�ll forget what�s most important. �We�re building a fan base from the area and then going out. If you don�t forget where you came from, your fans will never forget you�.